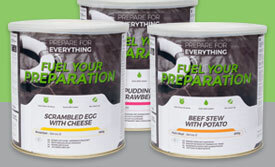 Quickly add extra nutrients and even more fantastic flavour to our main meals with our fabulous freeze-dried vegetables. 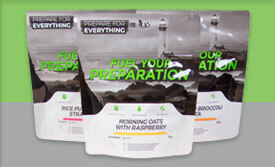 This selection of freeze-dried vegetables can be just what you need to add extra flavour, texture and nutrition to our already-delicious range of food meal pouches. Sliced Green Beans - 30g (equivalent to 275g of fresh vegetables). Perfect for adding an extra flavour to your meals. For example, you might try sprinkling the Grilled Mixed Peppers over our Chicken Fajita with Rice for an extra punch of flavour. We make sure all our food is perfectly fresh before we freeze-dry it. This means that you can be sure you’re receiving tasty and nutritious adventure food every time. Freeze-drying really reduces the weight of our food, too. 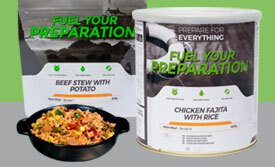 If space is tight, packing enough expedition food for even the longest of trips is easy. Our veggies are a perfect side of accompaniment to any of our main meals or as a snack. How you eat them is entirely up to you. They’re the perfect quick snack to eat or add to a meal as is, but it’s also really easy to rehydrate them too. Simply add water and, in a few minutes, these vegetables will be back to their usual state ready to use, eat and enjoy.